This is a tricky post for me to write, but being that I have a background in TV News I do think this is a story that professional brewers and home brewers need to be aware of. Is WLP644 Brettanomyces Trois actually Brettanoymces? This is a question that was raised in a discussion group I am a part of for wild yeast and bacteria brewers. It’s a discussion that I have pretty much stayed out of, but have watched unfold with much interest. I am going to post this entry as a basic timeline overview of the events so far. I feel like it is in the best interest of brewing if there is a page that had all the info accurately listed from the beginning. Hopefully this will curb “the telephone game” effect as more people research and discuss. I won’t be making any comments on to use or not to use this strain. It is not my place in this story. I am only providing this information so you can make an informed decision. On that same post a brewer asked “Is it the well known tropical fruit oft-used 100% Brett IPA strain?”, to which Omega confirmed “That’s the one”. The following day news of this hit the discussion group. People asked is it was WLP644 and the answer was yes. This group includes multiple chemists and biologists with many years of experience. They immediately started doing, well what any scientist does: breaking everything in the experiment down. How was the sample prepared? What was the source of the sample? Comparing sequences and looking at chromatograms. A few Seq graphs were posted, with mixed views on the accuracy of these readings. 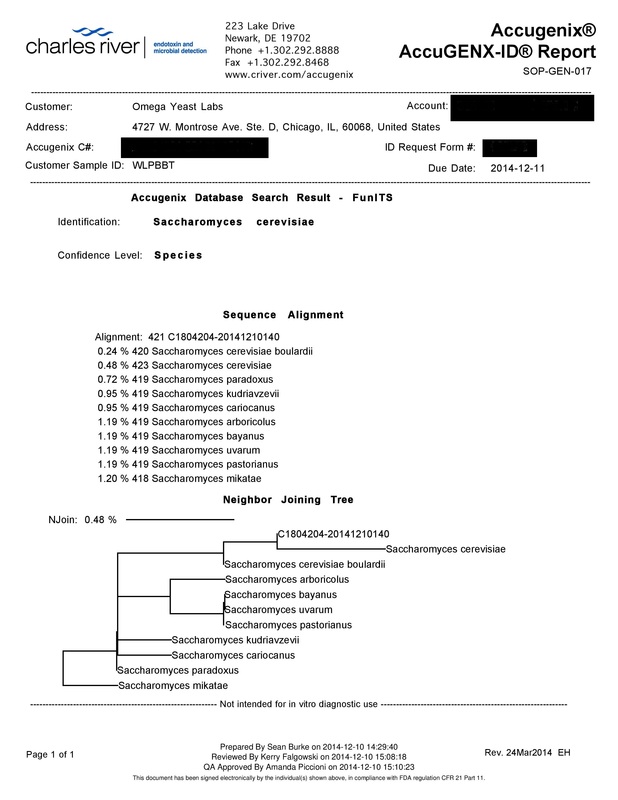 The next day (12/10/14) Lance (owner of Omega Labs) posted he had sent Brettanomyces Bruxellensis Trois (WLP644) lot number 1010492 to Charles River Laboratories to use their Accugenix Microbial ID and Strain Typing service. “We have received some questions as to whether White Labs WLP644 Brettanomyces bruxellensis Trois is not a strain of Brettanomyces. We obtained the original culture from a reputable source,​ ​identified ​as​ ​a species of​ ​Brettanomyces. We have been doing experiments on this in-house and sending the strain to​ ​independent​​ ​laboratories​ for some time. When we have a definitive genetic answer we will be happy to share that information. 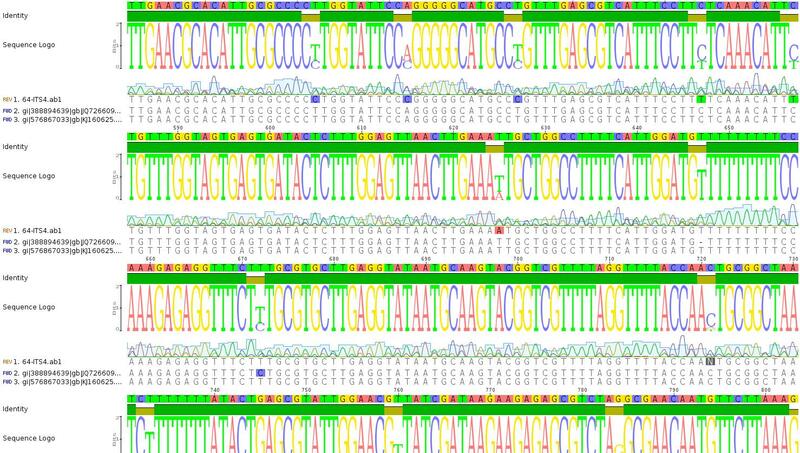 In addition, we have had a​​ 2-year collaborative research project​​ to completely sequence more than 96 of our yeast strains, both​ ​Brettanomyces and Saccharo​myces, which we hope to begin publishing in 2015. The complete sequencing of brewers yeast strains in this magnitude has never been done before, and we expect it will change the way many yeast strains, this​ one​ included,​​ ​are currently categorized and understood. Today (12/11/14) An update on the Microbial ID and Strain Typing was posted by Lance, the results for the sample of WLP644 Trois that were sent to the independent lab read “Saccharomyces cerevisiae”. I am looking forward to seeing the results of Chris and Neva’s project at White Labs. I would ask this of people reading this article: Please don’t bombard White Labs with messages or calls about this. They are very much aware of this story and are working to get a definite answer on their end. Be sure to visit the main brewery site at YazooBrew.com!